Annual gifts may be directed to the Area of Greatest Need or towards a specific program or project of the League. Gifts to the Area of Greatest Need allow The Junior League of Austin’s Board of Directors to direct funds to programs as needed and provide flexible funds to respond quickly to unique opportunities. Annual gifts may be made with cash, credit card or stock transfers. You may make your gift online at our Donate Now page, by downloading and returning our response card, or by downloading and returning the stock transfer form. Corporate Sponsorship allows the League to leverage your dollars to raise additional funds from the community to support the mission work of The Junior League of Austin. Your company receives maximum community recognition in appreciation of your gift through event promotional efforts. If you are interested in Corporate Giving, please complete the prospective sponsor form or contact the Fund Development Vice President. In-Kind Donations of goods and services helps the League maximize funds raised through special events to benefit our community. In-kind gifts such as silent auction items, big ticket raffle items, catering, printing and design services all help The Junior League of Austin raise more funds to benefit the Austin community. Goods and services, such as new and gently used coats for Coats for Kids, help the League reach more people in need. To make an in-kind gift, please contact the In-Kind Coordinator. 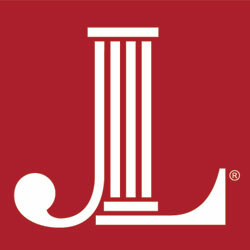 Endowment Gifts may be made to The Junior League of Austin Endowment to support the mission of the League in perpetuity. For information on establishing a named endowment to benefit The Junior League of Austin, please contact the Fund Development Vice President. Matching Gifts allows a company to direct their corporate philanthropy to organizations its employees already support. Most companies match donations which means you can double your donation to the League. For information regarding matching gifts, please contact the Matching Gifts Coordinator. Thank you again for supporting The Junior League of Austin.